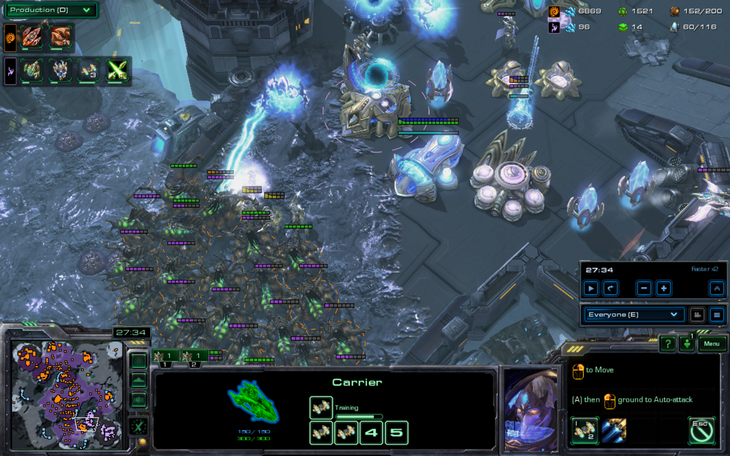 After a crucial victory involving battlecruisers, The_Templar is having a resurgence of confidence. With the usage of the capital ship along with bio/tank, he was able to defeat GumBa's carrier-based composition and secure his first victory. Both players were intending to go town hall first, but workers blocked both expansions. 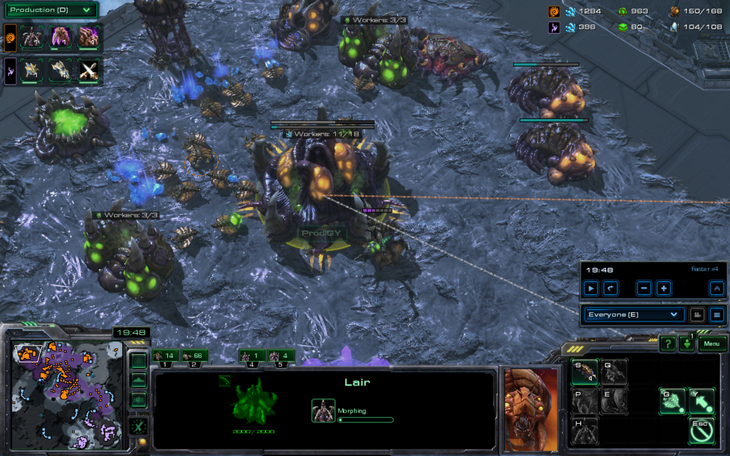 Therefore, GumBa did the most reasonable thing a zerg could do in this situation. Fail probe patrol at the expansion. 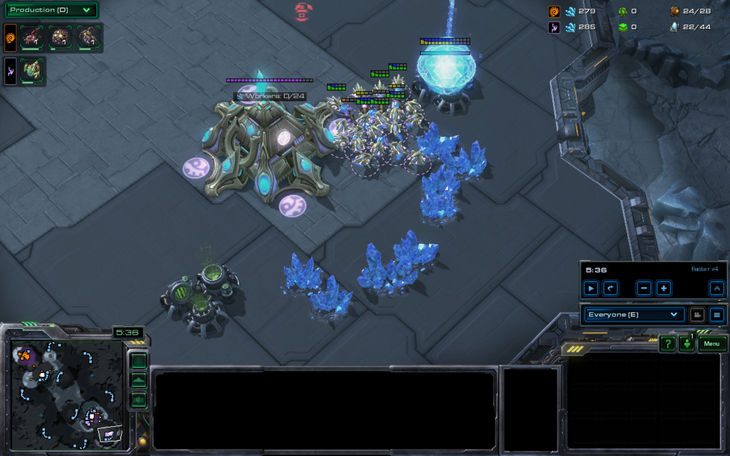 A cannon rush was attempted but GumBa got zerglings out really quickly. 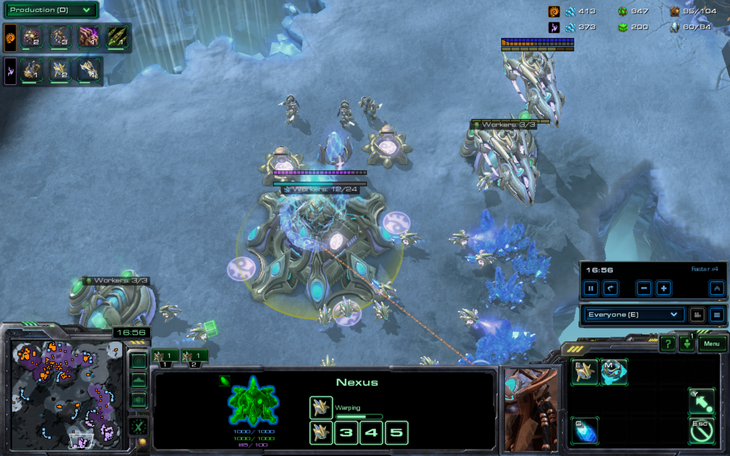 Maybe the cannon rush would have worked if you hadn't build a freaking nexus in his base. 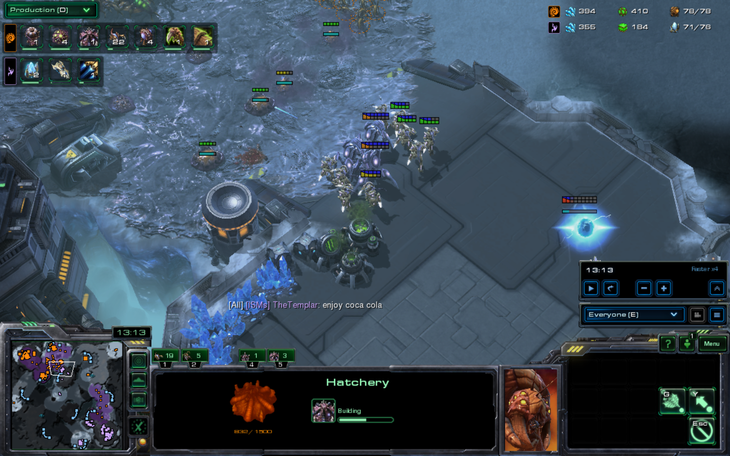 GumBa finished his proxy hatchery and got some zerglings into The_Templar's base. However, they met a gruesome fate. The_Templar started cleaning up the hatchery, but GumBa got a queen and planted a creep tumor. 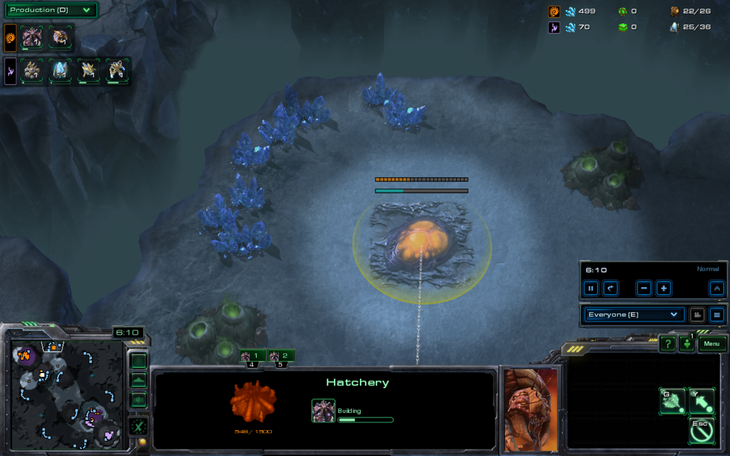 See that zealot killing the hatchery? The hatchery got back at him. I would say "Zealot split ez pz" but that joke is getting old. GumBa was the first player to do something actually reasonable by taking his third since the nexus was still blocking the natural. The_Templar confirmed more creative. GumBa should have taken The_Templar's third. The queen is killed too late. 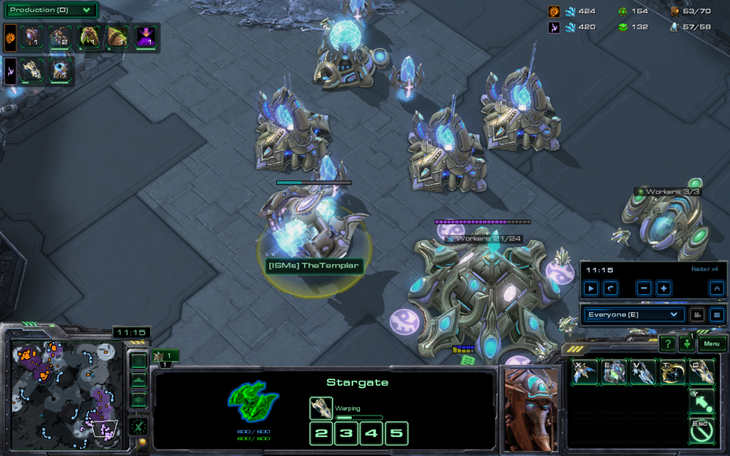 Since creep still blocks the expansion, The_Templar decides that a 1 base, 4 gate carrier build is the best build. Meanwhile, he's expanding to his third. 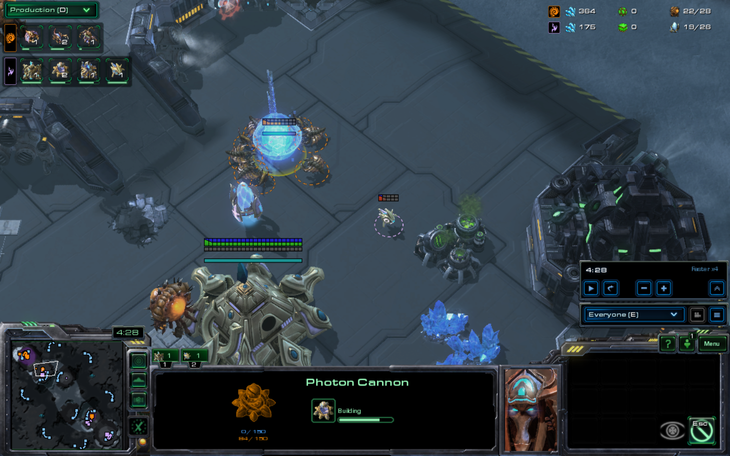 Maybe he's going to cannon rush it. GumBa decides it's a good idea to get a fourth base and a spire against a 1 base all-in. 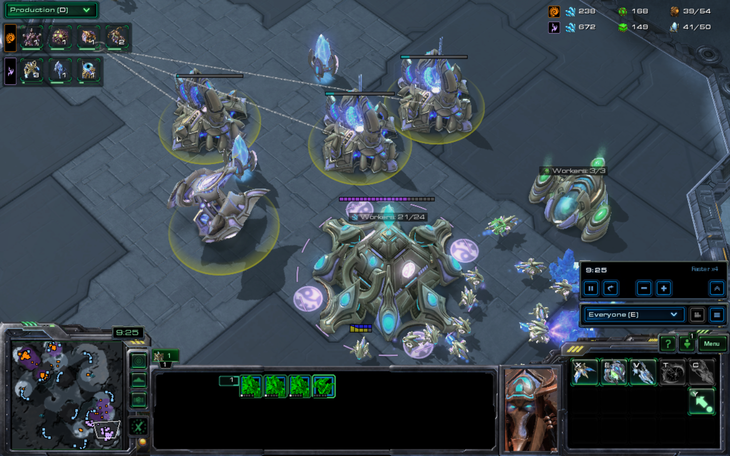 Protoss and zerg units were living here in harmony and peaceful coexistence until the carrier showed up. He remembered the battle cry! GumBa somehow rolled the game back a bunch of patches and became a patchzerg. All he really needed for the first 15 minutes were a lot of queens, obviously. 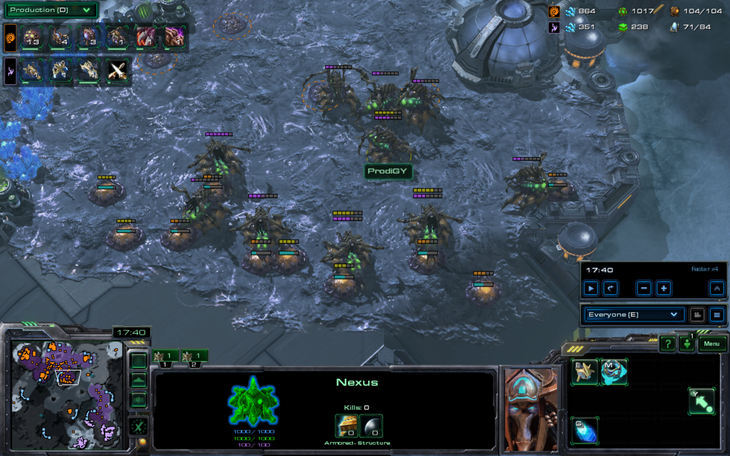 These protoss units are all about to die. The carrier gets away of course. GumBa goes full counterattack mode and runs into another unsuccessful cannon rush attempt. 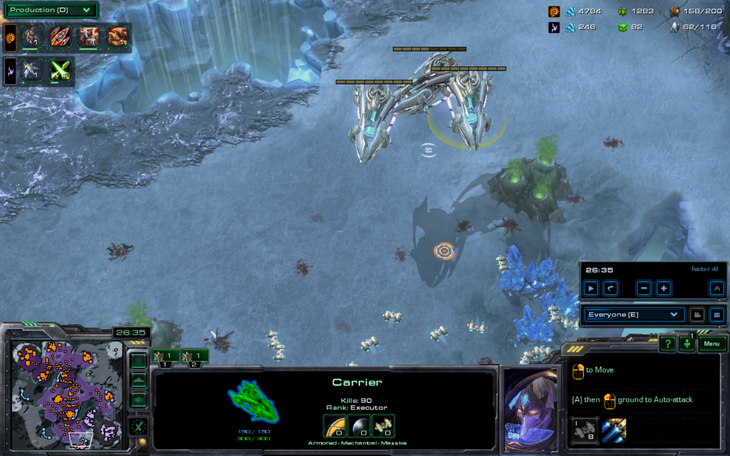 The_Templar retreats to his third, while making even more carriers. Based on how the last few games have gone, First vs Life could happen here. GumBa just starts spreading creep. He also gets a hive. 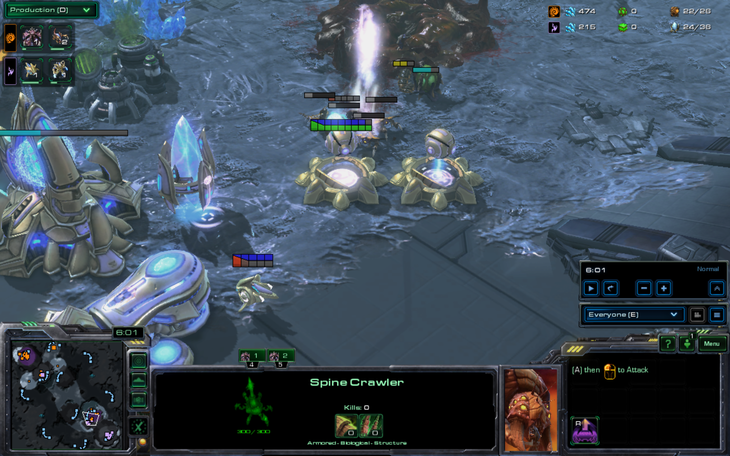 He has a roach warren and spire as well but he's only made zerglings and queens. An oracle is scouting around for The_Templar, who finally remembered to clear up the creep in his natural. Unfortunately, it's just going to fly into GumBa's army. The_Templar prepares to attack the mass queen/zergling army of GumBa. Note that there are a lot of high templars in the mix. Mass feedback is cast on the queens. This took a bad turn. 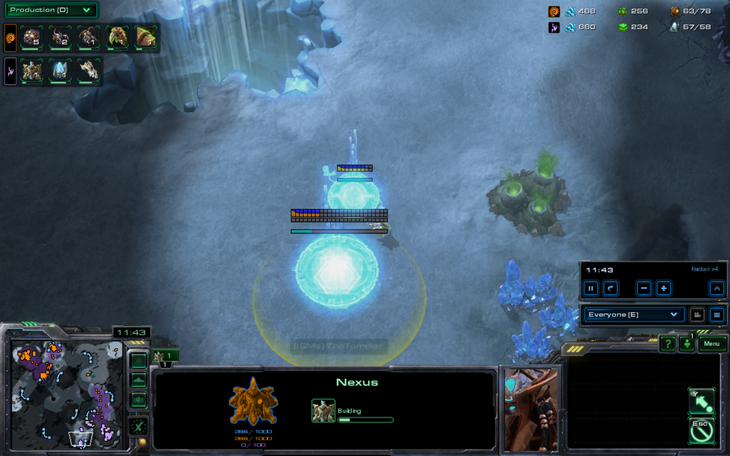 Zerglings pour into the third base and demolish it. 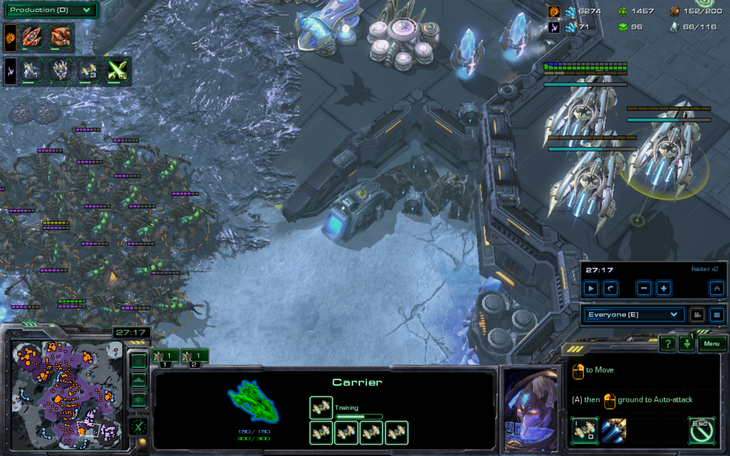 GumBa forgets about the zerglings and they all die to carriers. 90 kills on a carrier is rather impressive even if it is just zerglings. Queens arrive and chase off the carriers by killing all of the interceptors. 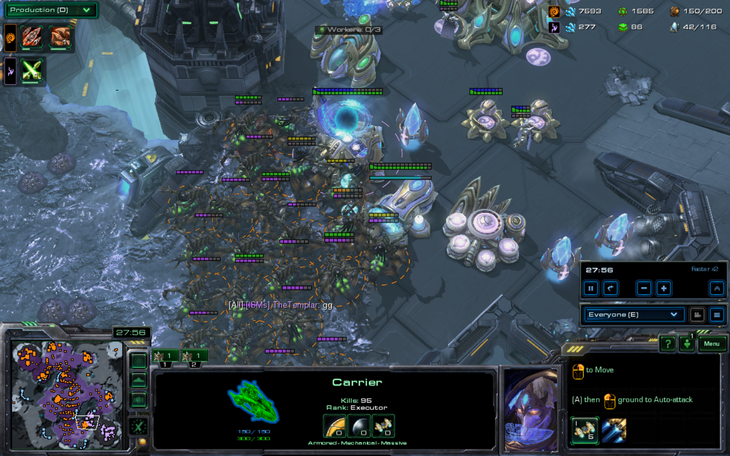 So much creep spread… I think this is Scarlett playing or something. GumBa follows up with another attack. The_Templar is forced to GG at this point, as there are just no more units for him to make. After one of the most one-sided losses in the series, The_Templar is running out of options. He's shown a clear inability to deal with frustrating situations such as blocks on his expansions in this game, so he'll have to play safe. But he's been crushed in all but one macro game, so he'll have to all-in. How can he do both? Can he actually manage to ever take 3 maps in a row in this situation? Those HTs get storm later in the series. I honestly can't tell the difference between this game and a GSL finals game. 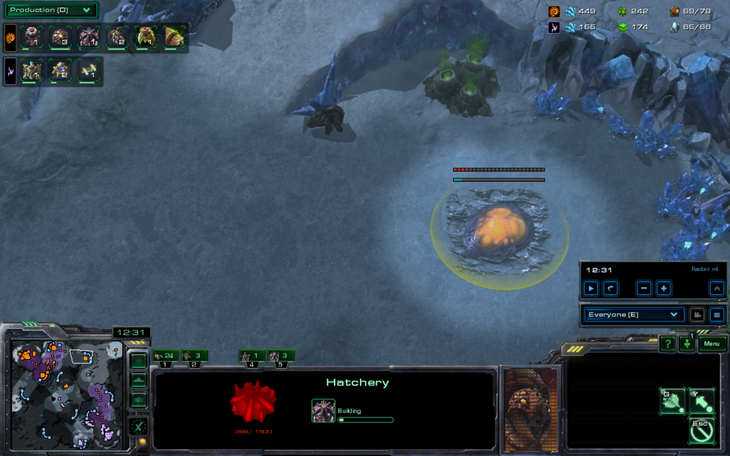 Also, GumBa such a patch-randomzerg with all those queens. God damnit I wish there was a new LRSL. Maybe that would restore my passion. Omg i didn't saw that. Wait is there a new stupid useless tournament coming ? How do i qualify ? There's a possible LR tournament but there wouldn't be very many people in it. LRSL will probably happen at blizzcon and everyone will pick a player like last year but this is unconfirmed. Hope i can play in it. I want to win a Bo this time ! 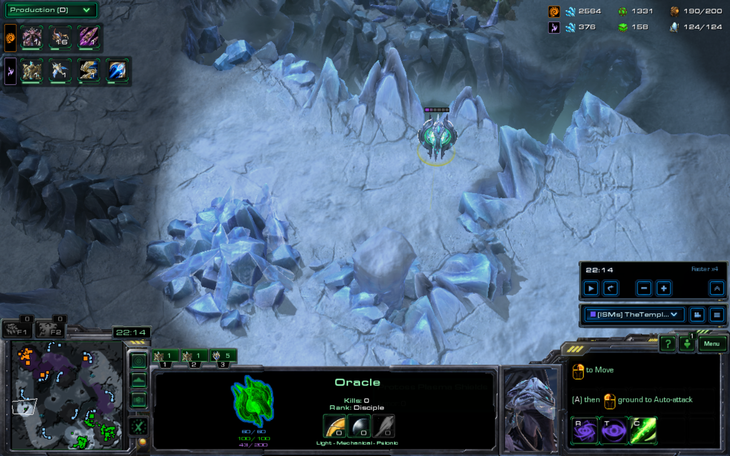 Also is it now authorized to use #The_TemplarMicro during pro matches ? How would you rate The_TemplarMicro vs The_BestMicro ? You should cast these and upload to youtube. #The_TemplarMicro is very serious and should only be used when units that are easily micro'd get clumped up or surrounded and obliterated as a result when they really shouldn't have, when the player is obviously paying attention to the battle. 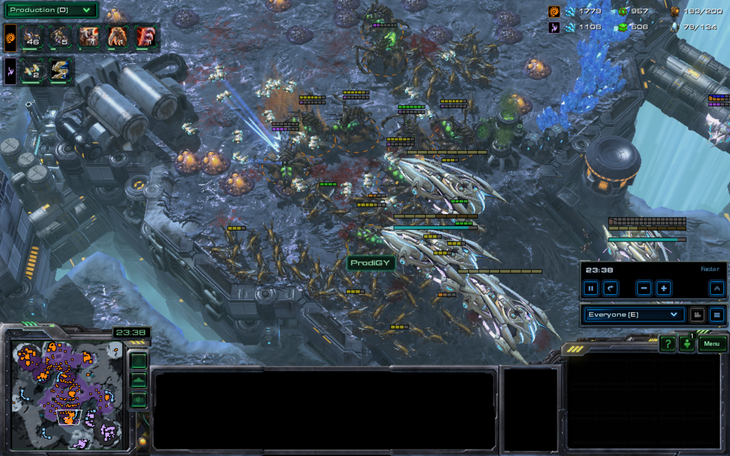 Marines are clumped up and destroyed by like 3 banelings. The_Templar is doing nothing at home besides building marines with hotkeys so he's obviously looking at the battle. 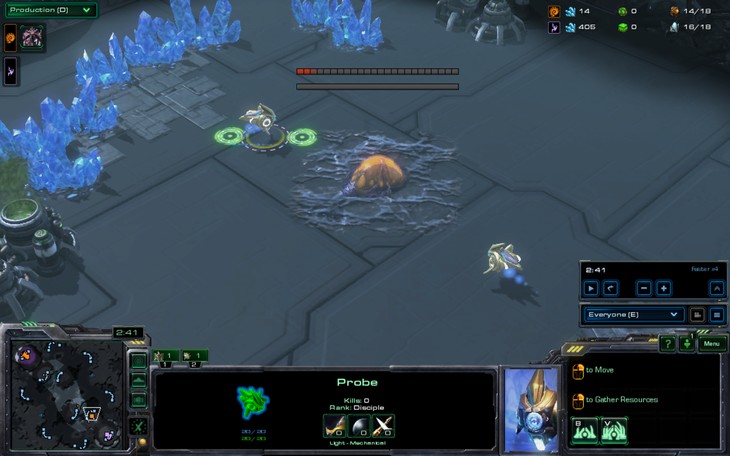 Reaper gets surrounded by probes because The_Templar is typing. This is superior to TheBest micro because the player mis-microing has no reason whatsoever to mess up and still does. TheBest wasn't really paying that much attention to his banshees for example. Haha. hope you'll cast it. Like a Chill CombatEx non bias showmatch. You gotta inv me for blizcon lr tournament thingy. It's basically first come first serve. You have to sign up in the thread as the player you want to represent. I'm getting in on the Blizzcon event representing Life. 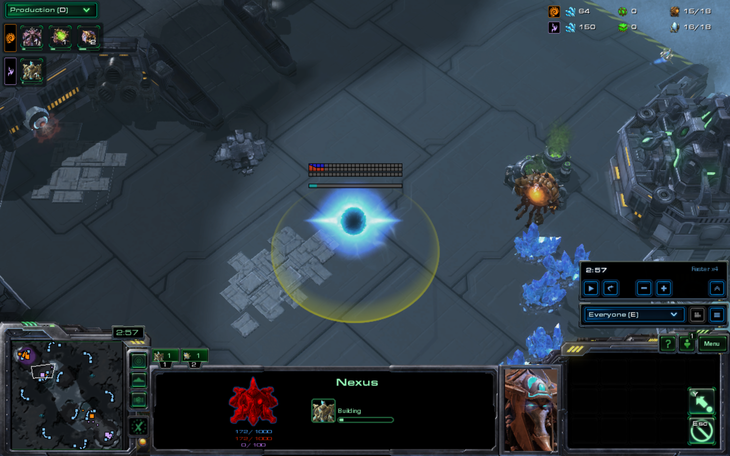 Or at least a zerg of some kind, because last time I had to play protoss because I was representing Duckdeok.